Rukhsana Kausar was with her parents and brother Noor Hussain when a group of gunmen, militants of Pakistan based Lashkar-e-Taiba (LeT), barged into their house in the Rajouri district of Jammu and Kashmir on September 27, 2009. It is alleged that this was a revenge attack as Rukhsana and her aunt had escaped the clutches of these militants when they were abducted a couple of months ago. When her parents caught a whiff of the attack by the militants, they hid Rukhsana underneath a cot. They demanded Rukhsana be handed over to them and when her parents and younger brother tried to resist, the militants started hitting them with the butts of their rifles. Realizing her family being assaulted, Rukhsana mustered immense courage and emerged from her hiding place with an axe and hit the LeT commander at the back of his head. She picked up the commander’s AK47 rifle and shot him dead. Other family members joined Rukhsana in attacking the other militants, forcing them to flee. Rukhsana Kausar had never held a gun ever before, let alone fired one. 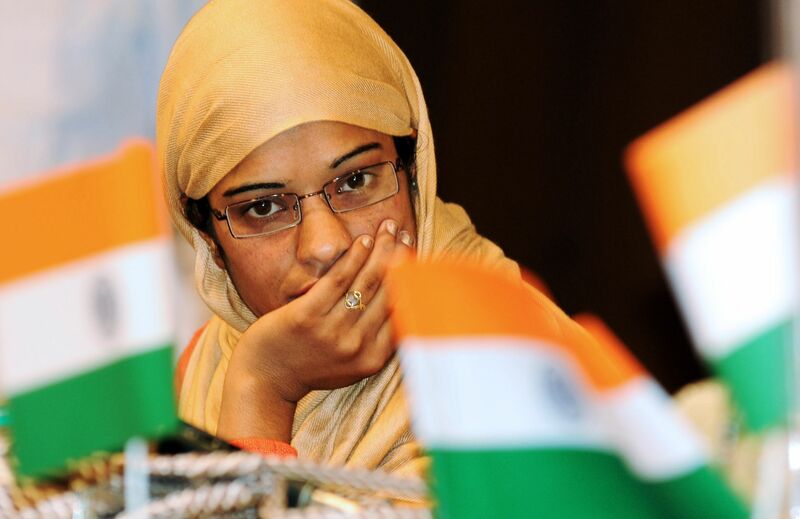 At just 20 years of age, the Kashmiri girl she showed extraordinary courage and bravery to overpower the militants. Then President Pratibha Patil, Prime Minister Manmohan Singh, and home minister P. Chidambaram, praised Rukhsana for her lion-hearted act of valor. For a while after the incident, life continued to be endangered for Rukhsana and her family. About a month after the militant attack on her house, unidentified gunmen threw hand grenades and fired several rounds at her house. But following a tip-off, they had already been moved to a high-security police colony and no family members were present at the time. Rukhsana Kausar has been awarded the National Bravery Award, Sardar Patel Award, and the Rani Jhansi Bravery award among several other awards. On the eve of Republic Day in 2010, Rukhsana and her brother were awarded the Kirti Chakra, the second highest gallantry award for their bravery. Rukhsana, the brave-heart, was appointed as a constable in Jammu & Kashmir police stationed in her home district of Rajouri. Rukhsana Kausar’s unheralded heroism has inspired many women in J & K to retaliate against terrorism. Tagged Do You Know Her? [Exclusive]: Meet Elavenil Valarivan – The World Champion Who Started Shooting to Control Her Anger! Adventurist “Flying Bird” Shital Mahajan is a multi (world) record holder! JOIN THE MOVEMENT. No spam ever, it’s a promise!